Our last Navigation Workshop of the spring is on 11/05/15 at Venford Reservoir west car park. Cost as usual is £20 per person and it runs from 10am until 4pm. Telephone or email to book, it is already half full. Our Navigation workshops will then resume in early September for those who can’t make May! Don’t forget if you want a guided walk just ring or Email to discuss your options. We are running a 2 day introduction to the skills required for hillwalking: Clothing choice, route planning, navigation, safety, environment issues, we will cover them all. 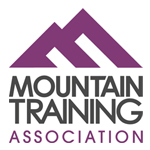 The course is accredited by Mountain Training England. The first day will involve a half day inside at Bellever YHA looking at the theory before getting out for a half day practical. The second day will be all practical and run from Postbridge car park. The course is non residential, but you could probably book in at the YHA if need be. You will need good waterproofs, stout footwear, warm clothing and a packed lunch each day. 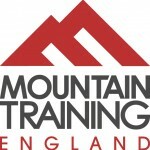 Adults only, no dogs IT IS NECESSARY TO REGISTER WITH MOUNTAIN TRAINING ENGLAND (cost £20) prior to booking. Another of our popular navigation workshops run from Venford (west) car park. Starting at 10 am and running until 4pm, we will assess your current skill level and attempt to develop them further. It is essential to book (email adrian@hillwise.co.uk) and the cost is £20 per person. You will need to be 18yrs of age and bring stout footwear, good waterproofs and a packed lunch. A silva type 4 compass and a laminated OS map OL28 are desirable but by no means compulsory. We have two Hill Skills Courses arranged for the Autumn of 2014. These are two day courses accredited by Mountain Training England and require registration with them before participating (£17 under 18’s, £20 over 18’s). This can be done at the MTE website . They are the ideal introduction to hill and moorland walking, ensuring that you learn the basics in a safe and reliable manner. Our courses will run from Bellever Youth Hostel on day 1 and from the Postbridge car park on day 2. Each day will last for 8 hours and the majority of training will be delivered out on the moors. The cost is £50 per person for the two days. On completion of the course you will receive a certificate of attendance and will be able to have continued access to MTE’s digital log book (Dlog) to record you experience, in a format that is accepted by assessors for their Leadership Award Schemes. The courses are also advertised on the MTE website and a location map is shown there. The dates of our courses are Sat the 13th and Sunday the 14th of September 2014 and Monday the 6th and Tuesday the 7th of October 2014. Email adrian@hillwise.co.uk for further information, expressions of interest and booking. Please note I must have received your registration number at least 21 days prior to the course for booking to be valid. We still have places on our Monday workshop at Shipley Bridge (Dartmoor) on 10/03/2014 and on our Tuesday workshop at Venford on 22/04/2014. These need booking well in advance as they are popular. There is also a possibility of a further Workshop at Shipley Bridge on 08/03/2014 (Saturday) so if that date suits you let us know asap so that we can arrange one for that date too. Saturday 1st of February 2014. But if you have other dates in mind let me know and I will try to turn your booking for 1 into a course for 6! The content can also be flexible so we can produce a course to suite your own level of skill. Sawyer filters are selling like hotcakes via our 10% discount deal…..if you aren’t sure if this is the filter for you, have a look at my review then click through my link to the Sawyer site. Your discount will be added at check-out! Simple. Seriously folks, these filters are ideal for all travel to developing parts of the world (and some that call themselves developed). They are simple robust and guaranteed for a million gallons! I used mine in the Costa Rica Jungles last summer and am about to take it to Morocco and then Vietnam and Cambodia. I have several other filters but this is the only one I take now. Our offer through Sawyer Europe on their range of water filters and accessories for the adventure traveler is still running. They also do 1st aid kits, bite and sting kits and stay put SPF50 sunscreens. Check out their inline filter kit and their tap (faucet to our transatlantic friends) converter kits It’s all top quality kit for the Adventure Traveler and my friends and I have been testing it out in places like the Costa Rican Jungle the Himalayas. To get the discount just click through the links above to the product you want. The discount will be applied at the point of purchase. Finding safe drinking water………..Try the Sawyer Squeeze filter. We have linked up with Sawyer Europe to bring you a 10% discount on their range of portable water filters. To obtain the discount you must order via the link from the links page of our site. Sawyer cut their teeth in the world of medical grade water filtration so their products are of a high quality and don’t use secondary chemical processes unlike most other filters on the market. Take a look!